When I started my business, I just assumed I would have to build up a beautiful website (to match my beautiful eyebrows), have a huge email list, get tons of followers, and ONLY THEN could I have a real business. Boy, was I wrong. An emotion I rarely feel. Today I’ll show you how you can grow an online business with a tiny email list — or even without a website at all. MYTH: You need a huge email list or perfect website to have a successful online business. TRUTH: You don’t need a big list. In many cases, a simple website actually outperforms a fancy one! And best of all, a small list with the right people will always outperform a bigger list with other people. than from a much, much larger group. This chart shows how a small group of engaged users will absolutely crush a larger group of less-engaged people. I made more sales from a group of 10,000 than from a massively larger group of 178,000. You don’t have to have a huge email list or wait until you have 100,000 followers. You can actually start NOW, and once you find the right people, you can build a successful online business with fewer people than you’d ever thought. After all, who wants to write and write blog post after blog post for months on end…only to find that you’re getting anemic traffic, no subscribers, and no sales? I know what it feels like to have NOBODY pay attention to you. Remember back to when I was trying to help my friends at Stanford with their personal finances? I actually tried to teach an informal, 1-hour class. I would hear friends complaining about money and offer to help. They said, “Sure, that sounds awesome” — and then they would NEVER SHOW UP! For a year and a half, it was utterly draining to know I could help people…but nobody seemed to care. How I felt for a year and a half. Instead of giving up, I realized I was taking the wrong approach. It was MY fault, not theirs. The truth is, you can’t force people to care, not even if you use the perfect words. So I created a website and decided to find the right people. And when I did…everything changed. NEW APPROACH: “I’d rather have 100 people who care instead of 1,000 people who don’t.” This pattern holds true over and over. For example, when I first launched Earn1K, I had about 50,000 people on my email list. 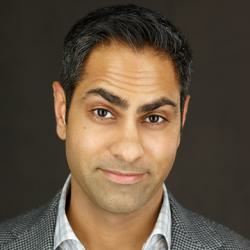 Ramit, you are so amazing. Thank you, thank you. But the shocking thing was this: I generated 80% of my revenue from a small subset of just 2,000 users. It meant that the assumptions MOST people were making were just plain wrong. It means you don’t need to chase random followers, fans, and subscribers. You can save HOURS every week by just not playing that game, and instead focus on a small group of people who ACTUALLY care about what you’re teaching! I say this over and over everywhere. In my emails. My YouTube videos. My courses (including Zero to Launch). You DON’T NEED all the riffraff! In fact, if you focus on JUST the small group of people who care, you can save time (by not worrying about people who will just complain and waste your time) AND you can lovingly spend MORE time with the people who matter. This is why I can actually respond to your emails. And why I can afford to host open bar events all over the country for IWT readers. Nothing to sell. Nothing to promote. Just a good time to get IWT readers together, get them wasted, and pray they hook up with each other (which they sometimes do, god I love it). The good news for you? You don’t need a million visitors to your website, 500,000 facebook followers, or even 25,000 email subscribers. When you have the right people, SMALL IS GOOD! Small can be highly profitable if you properly “qualify” the people — something I teach in Zero to Launch. Now, 3 examples to show you exactly how this works. You recently met Primoz, a Zero to Launch student from Slovenia. enough to pay a full month’s rent in just 4 days. In Zero to Launch, I taught him how to find the right people so he could sidestep getting the BIGGEST list, and instead get the RIGHT people. With this small list, he made enough sales to cover his monthly rent — in just 4 days. In fact, you can get your first sale from 100 people. In Zero to Launch, I cover the actual areas to focus on, rather than this pointless focus on inflated numbers. Another student, Chris (who you may recognize from other IWT videos — he is the most sarcastic/hilarious man in the world), also got impressive results with fewer than 20 subscribers on his email list. he used to get $50,000 worth of offers. And finally, Selena, another Zero to Launch student, generated $30,000 with this guest post. Can you spot how? By the way, if you don’t have a website or email list at all, I cover all of that in Zero to Launch, including ready-to-use website templates, 19 advanced list-building tactics we tested, and 3 strategies that helped us quadruple our email list. I want to make sure you still get the information you need to create your own success story. If you’d like to learn more about how to grow your online business from zero to launch so you find a business idea, get your first sale, then implement the systems to “scale” your business for automatic income…. join the Zero to Launch waitlist. I’ve also made it easy for you to access case studies and exclusive content. Click here to register for the Zero to Launch waitlist (it’s free).